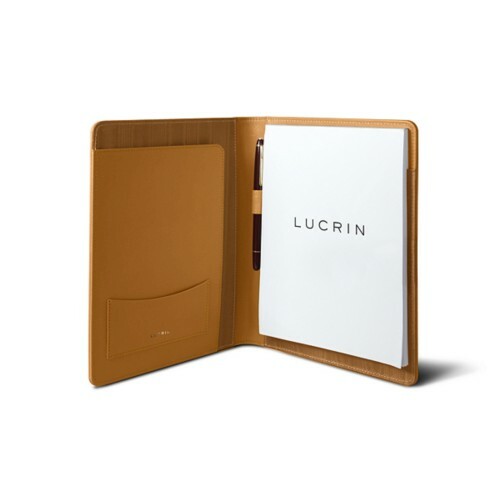 Here is the collection of leather binders & folders of A5 format (18x24 cm). 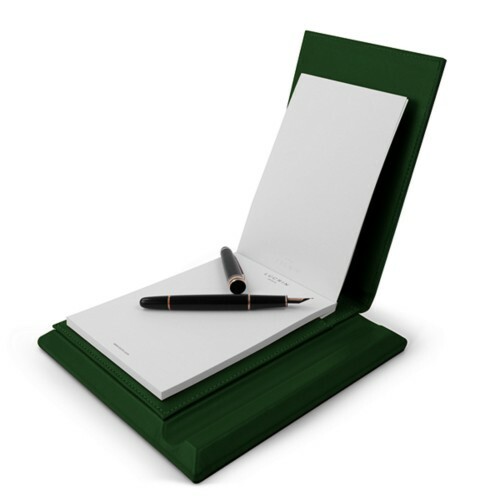 Smaller in size compared to their A4 counterparts, the A5 documents holders are still very practical and elegant. 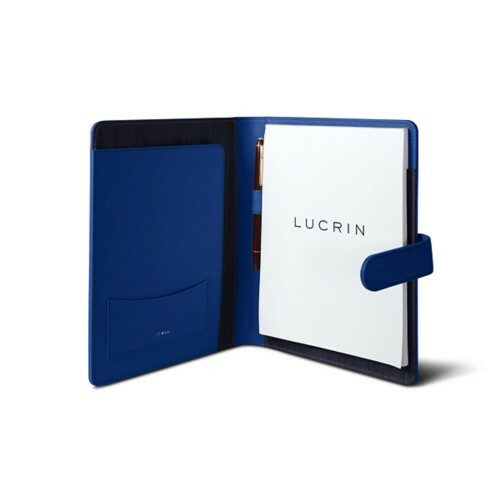 Lucrin lines up several models which will suit all tastes and purposes. 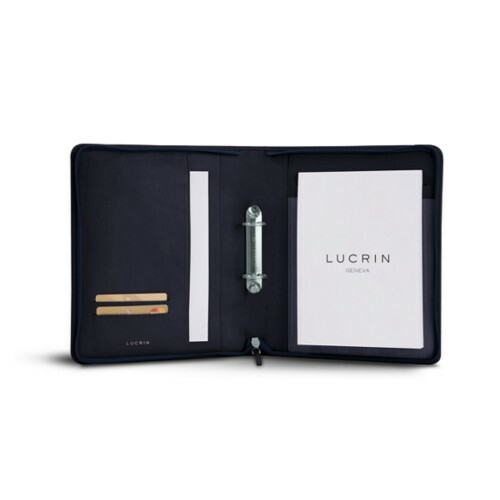 Those leather envelopes, portfolios (zipped or with loop), soft and flat bags and documents wallets are all entirely customizable. 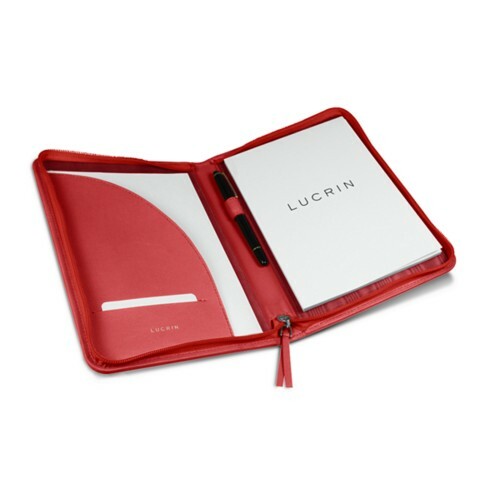 You can opt for the engraving of your initials or the logo of your company for instance. 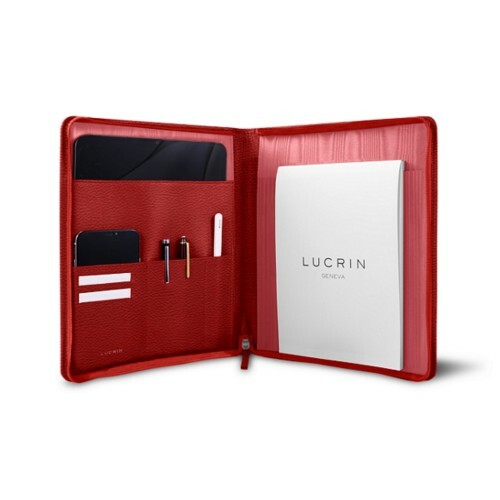 The A5 leather folders come with several storage spaces or pockets and there is also room to store your business cards or your favourite pen. 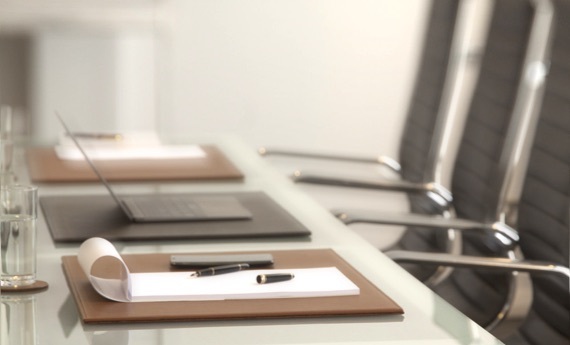 These high-end office products are made with premium leather and the finishing work is of the very highest level. 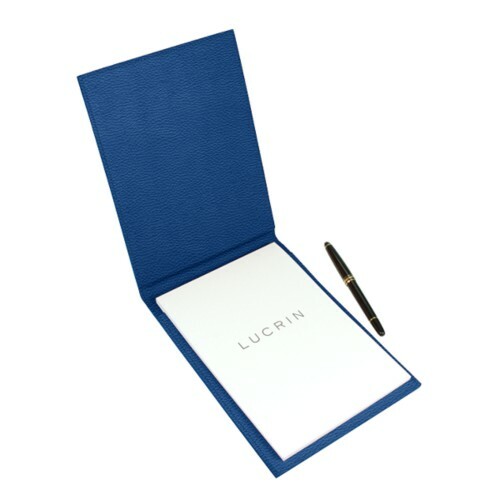 The leather A5 notepads are proposed with an authentic Lucrin paper pad.